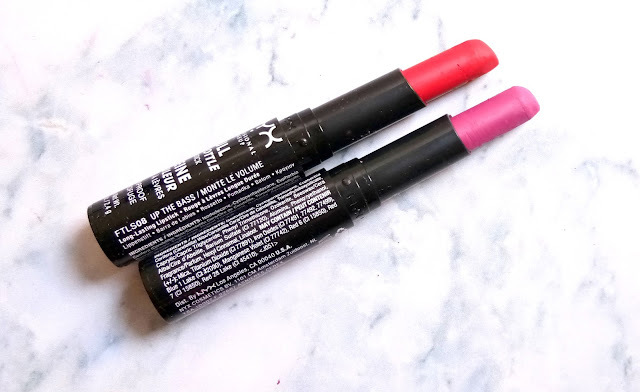 Today I am going to talk about my recent buy NYX FULL THROTTLE LIPSTICKS. 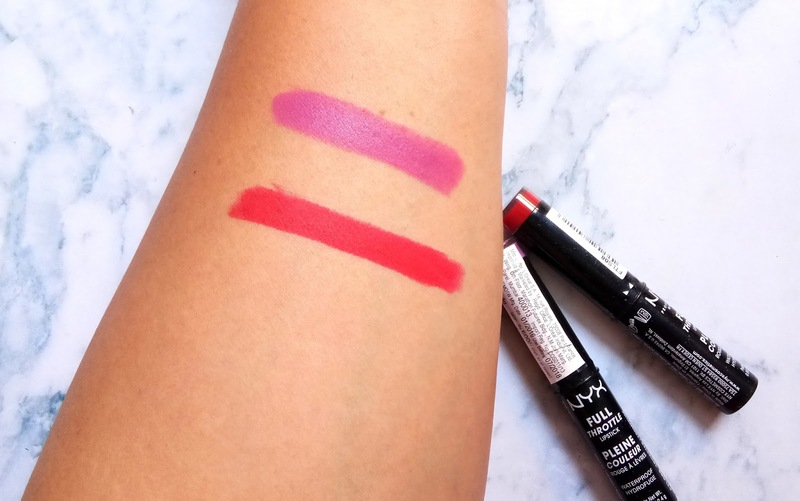 I was never a big fan of Nyx Cosmetics and that’s why I never bought many things from this brand. 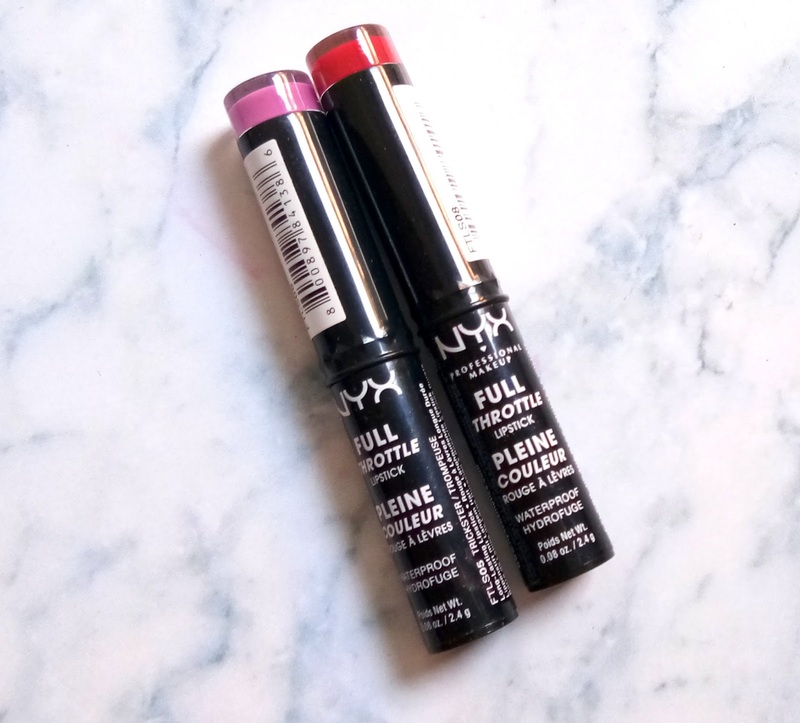 But recently when I spotted one of my friend wearing NYX FULL THROTTLE LIPSTICK I was so tempted seeing the finish and color of the lipstick that I immediately ordered two shade from this range. Availability:- Nyx stores, Nykaa stores, and online store. The lipstick comes in a sleek black kind of packaging. The bottom of the lipstick had the same color matching to the inside shade of the lipstick case for which it is easy to pick the color from the stash. The bullet of the lipstick is slim and slanting for which it is very easy to apply the color on thin lips. The lipsticks are matte in texture. They glide smoothly on lips without any tugging or pulling of lips. 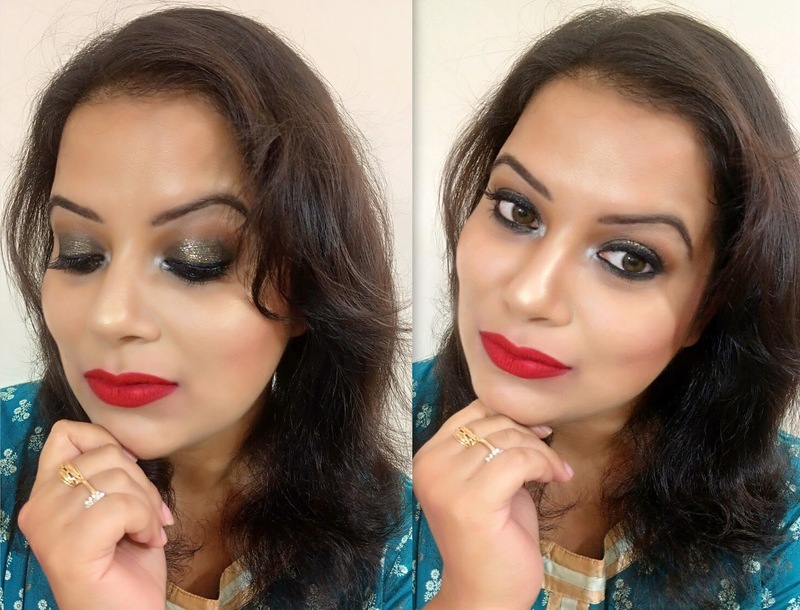 The pigmentation of the lipsticks is really awesome. One or two swipe is enough to get opaque coverage. 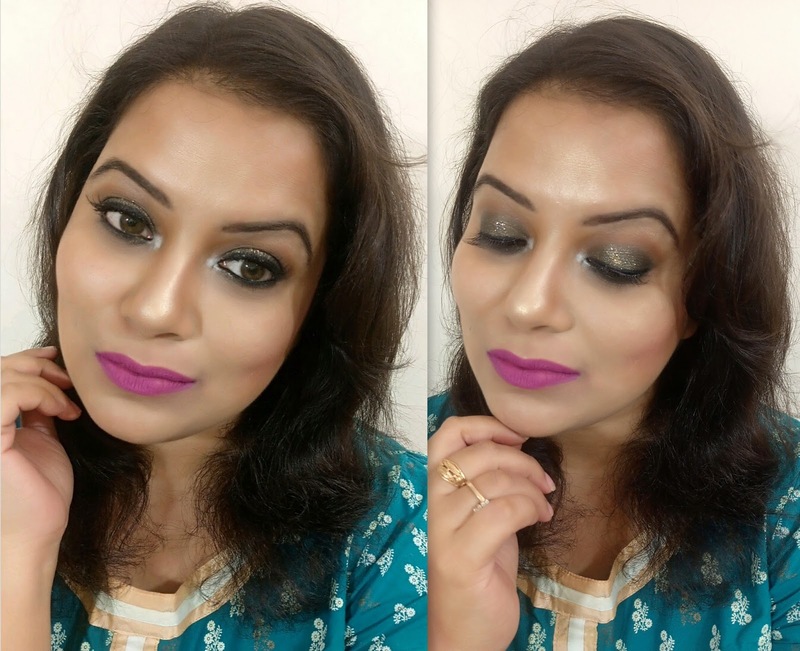 The lipsticks are so good in pigmentation that they are capable to hide lip pigmentation too. The lipstick is bit transferable after few minutes of the application.But slowly it turns totally matte on lips giving a velvety finish look. The lipstick stays pretty 7 hours on my lips with slight fading if I have some drinks or oily food but still the lipstick stain my lips so well that I can carry it 1-2 hours more after a bit fading too. 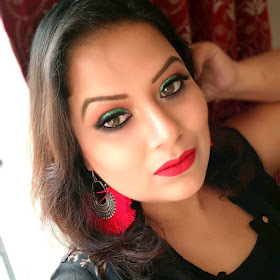 These lipsticks are perfect matte lipsticks for matte lipstick lover. 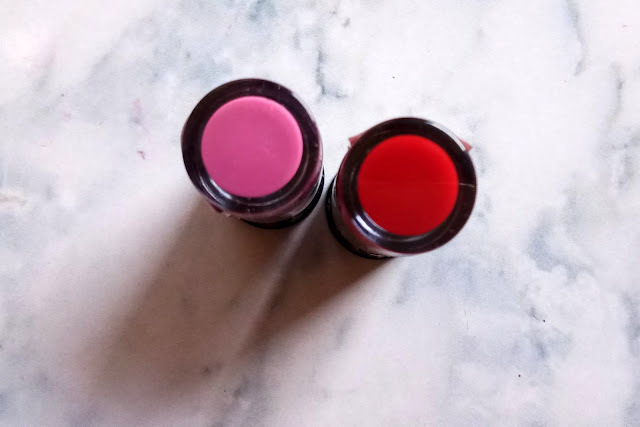 But for dry lips beauties, these might turn a little bit dry after few hours of application, so removing the flaky layer of the lipsticks and reapplication of it is highly recommended. 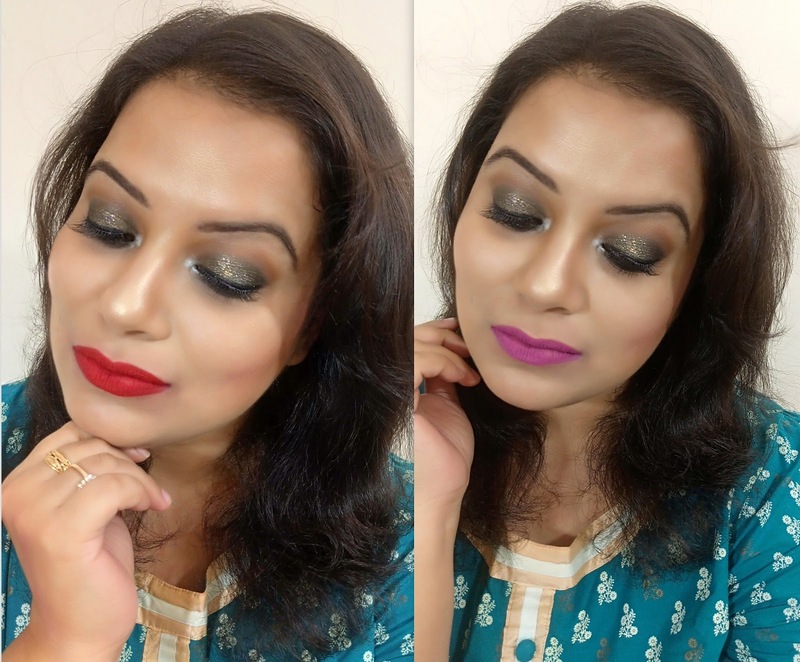 Overall, in short, these are my favorite line of matte lipsticks and I am going to try out few more shades from this range soon.